If you have celiac disease, avoiding foods with gluten is the only way to avoid those nasty side effects. 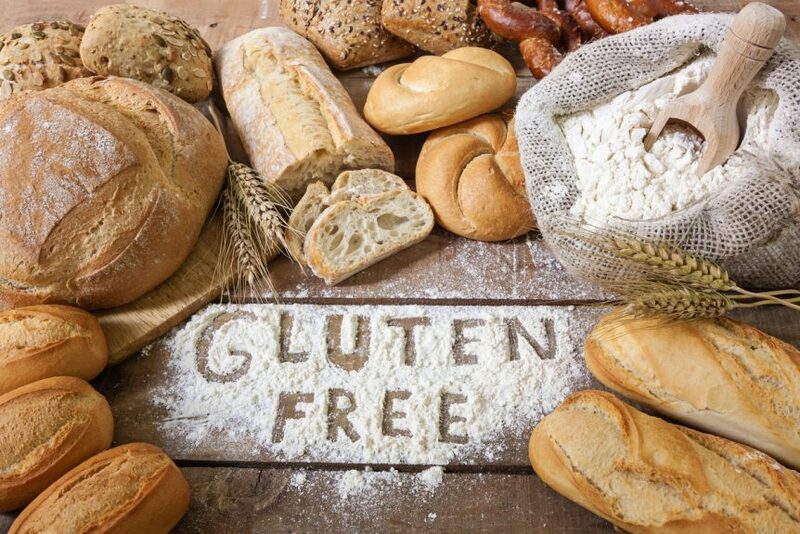 Unfortunately, most grains contain gluten and eating around this allergy can make you feel limited in your diet options. In addition, an aversion to dairy, whether due to lactose intolerance or personal beliefs, makes things more difficult. Having a dairy-free diet is very achievable, but also cutting out gluten can cut down your options at the grocery store. However, you may not be as limited as you think. In fact, there are several dairy substitute and gluten-free baked items/baking ingredients that can be lower in fat and carbohydrates, which can help cut down on calories. Conversely, if you’re trying to put on mass, several of these substitutes are high in protein and have enough calories to reach your macronutrient goals. Let’s go through these gluten and dairy-free foods by category, and round up with a few of my favorite gluten and dairy-free meals. This section is easy. All meat is naturally gluten and dairy-free. Chicken, pork, steak, turkey, fish – go for it. Meat is high in protein and has varying fat content, depending on the type and cut. If you’re looking to get or stay lean, sticking to chicken and turkey with an intermittent cycling of red meat if you choose will be the best options for you. However, watch out for breaded meats, as the breadcrumbs used will often contain gluten, which could be bad for your allergy. Also, many meat-based curries and stews can contain dairy, so make sure to read the labels before consumption. Like meats, fruits and vegetables are also naturally gluten and dairy-free. However, there are several preparations of vegetables that introduce gluten, and several preparations of fruit that introduce dairy to the dish. Be careful with different preparations of fruits and vegetables, especially things fried in butter, quiches, anything deep fried or creamy vegetable-based soups. Fruits and vegetables are best raw, but if you have to cook them then steaming is the best option. Steaming vegetables helps them retain more of their nutrients, and also doesn’t introduce any outside ingredients that could raise the carb, fat or calorie count. Ahh grains. This is where it gets tricky. Carbohydrates are your body’s main source of energy, and grains are a great source of carbohydrates; however, many breads, flours and other products derived from grain contain gluten. Thankfully, there are several workarounds to this, and a plethora of gluten-free baked goods and baking supplies that have become available in the past few years due to the surge of health-conscious grocery stores. Replacing traditional flour with almond flour or a soy-based flour can not only take the gluten out of your food, but lower the total carb count as well. There are also several grains that are gluten free and can be cooked and eaten; if you’re not much of a baker, and prefer your grains more directly, take note. Buckwheat, kasha, quinoa, rice and flax are gluten-free grains you can simply cook and eat (you can also add some fruits or vegetables since they are gluten and dairy-free as well). A lot of recipes call for adding dairy to these grains in their preparation, so feel free to substitute a dairy-free substitute like soy milk. There is an entire market for gluten and dairy-free supplements, with the most prevalent being protein powder. Protein powder can pull its sources from several places, like eggs or soy – both of which are gluten-free and dairy-free. Just make sure to do your research, check the labels and find a flavor you like. Adding some soy milk or almond milk to your gluten and dairy-free protein powder can add great flavor and texture, as well as additional nutrition. There are several products on the market that act as substitutes for products traditionally containing dairy. Soy milk, soy milk-based yogurt, almond milk and dairy-free cheese are some examples of how you can make a simple switch to your diet to accommodate your health needs without too much of a lifestyle shock. If you’re lactose intolerant and have celiac disease, you’ve probably been eating gluten and dairy-free for quite some time, and you have your go-to meals and snacks that get you what you need and hopefully offer some variety. However, there are some dishes and meals out there that you might not have heard of, or have simply never crossed your mind. Take a minute to read through these meals and revisit the variety of your meal selection, you might uncover something new or that you haven’t tried in a while. Bacon and eggs is one of my all-time favorite gluten and dairy-free dishes. Cooking the eggs in bacon grease produces a crunchy outside and a soft, runny yolk. This meal is also packed with protein, and you can have a side of fruit or vegetables to get one of your daily servings in. Pair this with a cup of coffee and you’re all set for the morning. For a quick snack that’s high in protein and tastes great, try mixing fruit with soy milk-based yogurt. There are several flavors on the market and the carbohydrates in the fruit will help satiate your hunger and keep you going for the rest of your day. Noodle dishes can be sorely missed when on a gluten-free diet, but zucchini noodles are easy to make and add great texture. Making pho with pork belly and other vegetables can get you your Asian fix while being cheap, easy and gluten and dairy-free. Eating gluten and dairy-free can be a challenge, but there are still several options on the menu. Meats, fruits, vegetables, gluten-free grains, gluten and dairy-free protein powder and dairy substitutes can all be mixed and matched on your plate. So, what’s for dinner?